Universal Tongue Initiator, Creator, Producer, Website Designer, Screenshot-Photographer and Text Editor Biographies. Anouk Kruithof is a nomadic visual artist who’s multilayered, interdisciplinary approach encompasses photography, sculpture, installation, artist-books, text, performance, video, animation, websites and interventions in the public domain. She is the creator of Universal Tongue. Anouk runs the publishing platform stresspress.biz and is also co-creator, director and jury member of The Anamorphosis Prize. Her work was shown all over the world in various institutions, such as MoMA New York, FOAM and Stedelijk Museum Amsterdam. Ginta Vasermane is a visual artist who graduated from Gerrit Rietveld Academy in 2010 and received her masters from The Netherlands Film Academy in 2012. She lives and works in Amsterdam and is the founder of Moving Art initiative F.L.O.A.T. that is an artist's initiative making exhibitions from place to place. F.L.O.A.T. is nomadic art platform, which searches to discover, contextualize and electrify the confines of audiovisual art. Joep de Boer graduated from AKV | St. Joost Breda in 2016 with the short documentary Wat het is. He makes playful, poetic documentaries that originate from a fascination for philosophical themes that he tries to investigate in a small and personal manner in his films. Justin Swinburne (aka 18+ and jj18) has performed and exhibited extensively throughout Europe and North American at venues such as the 55th Venice Biennale, Frieze Projects London, Artists Space NYC and Berghain Berlin. He lives and works in Berlin. Koen Nutters is a musician and composer of experimental music. He is part of many bands and ensembles such as: The Pitch, Konzert Minimal, DNK Ensemble, The Lucio Capece Trio, And / In, Post-Music, and The New Silence. He mostly lives in Berlin and Amsterdam and likes to play dance music to groups of friendly people in small urban spaces under the name DJ MFK. Ula Kahul is a cultural anthropologist, researcher, producer and consultant for lens-based projects. She is a holder of BA degree in Sociology from the Jagiellonian University in Poland and of interdisciplinary MA joint-degree in Global Studies from the University of Freiburg in Germany, FLACSO in Argentina and Jawaharlal Nehru University in India. Her interests revolve around subjects of post-colonial narratives and visual representations in cross-media storytelling practises. She currently lives and works in Berlin. Duygu Atceken trained in Photography & Video and Advertising in Istanbul, Turkey. Holding an MFA in New Media Art and Design from Bauhaus University, Weimar, she currently lives and works in Berlin. In her artistic practice, she focuses on themes such as the self, visual traditions, archives, and a critical examination of nonsense. 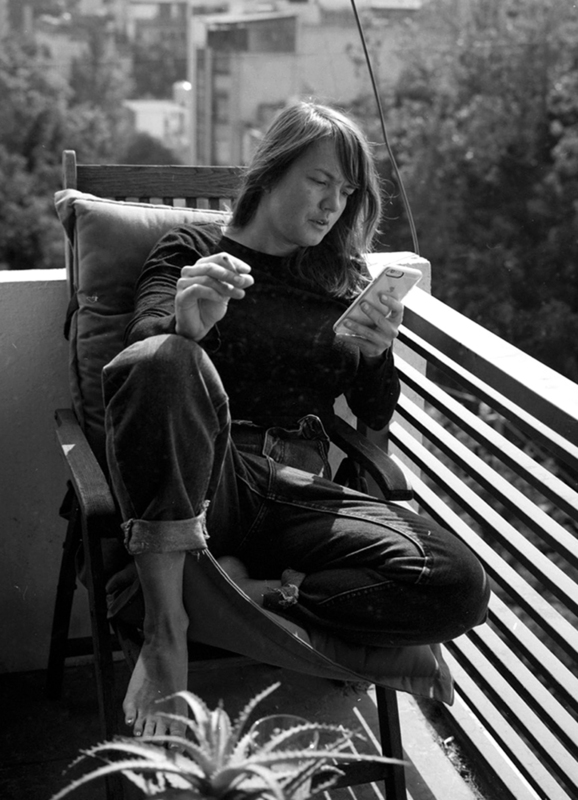 Besides her practice, Atceken is one the establishers and curators of Vitrine Weimar, once hosted exhibitions, workshops, events and artistic experiments. Maciej Mądracki makes short fiction films and video installations. He is also a composer of exhibitions and collaborates with MML Collective [CH-PL] and Moving Art Initiative F.L.O.A.T. [NL]. Selma Hengeveld is a visual artist who works with the media of photography, film and performance art. Using a research-based approach she often works with either social or personal pre-existing material, which is then structured and archived in order to create clear new narratives. She lives and works in Rotterdam, the Netherlands. Bears. He lives and works in London, UK. Stevie Southard is a queer, multi-media artist currently focusing in performance, video, installation, and events. Their work primarily explores the social body and the omnipresent sphere(s) it exists within, often utilizing the uncanny, humor, danger, socio-psychology, costumes/uniforms, role-playing, and makeup to create insular logic systems on small and large scales. Through a positive-nihilistic outlook, they hope to re-imagine forms of resistance against oppressive social and aesthetic conventions. Southard is based in Berlin, Germany and holds a BFA in New Genres from San Francisco Art Institute. Universal Tongue Writer of the Introduction-text and all round intellectual guide. Ward Janssen is a curator, writer and critic, working for Cinekid Festival, The Image Society and the National Creative Industries Fund. He lives in Rotterdam and is currently head of the digital culture program of Cinekid Festival, Amsterdam; the world’s largest, oldest and most renowned media festival for children and youngsters, curating the MediaLab, the festivals yearly exhibition of interactive artworks, media installations and digital experiments in Amsterdam, with a focus on the digital realm as an anthropological space, with equal room for play and poetics. The MediaLab and digital culture program presents digital content in a wide variety of media from digital art, games and virtual reality, many commissioned specifically for the exhibition, and later international presentation. Before Cinekid he worked as curator of MOTI, Museum of the Image, curator and programme head for House of Visual Culture, curator and programme head of Film + Design Festival, ao.